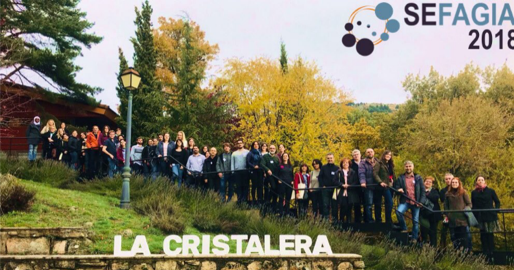 SEFAGIA, the Autophagy Spanish Society, was founded in 2017 after several years of activities and connections between different Spanish research groups focused on autophagy. Among its duties, SEFAGIA is interested in knowledge exchange, international networking and results dissemination in meetings and workshops. From 14thuntil 16thNovember 2018 I had the chance of participating in a SEFAGIA meeting. 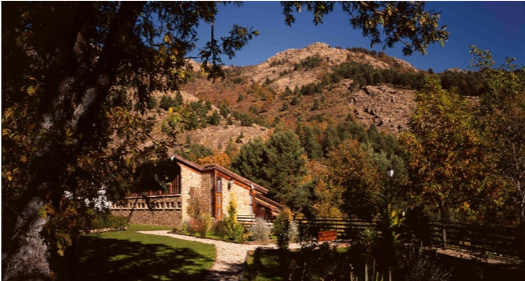 The congress took place in La Cristalera, a residence sited in Miraflores de la Sierra (Guadarrama Mountain), close to Madrid. The place, surrounded by mountains and trees, was ideal to make those days very warm. The meeting, which last 3 days, had the presence of several research groups with different lines of investigation in mammal and plant autophagy. Each group had the opportunity of showing their research in an oral presentation, creating after the talk a nice discussion about the topic. Moreover, three main researches, well known in the field, were invited: Anne Simonsen from the University of Oslo (Norway), Viktor Zarsky from Charles University and Institute of Experimental Botany (Czech Republic) and Guido Kroemer, from the University of Paris Descartes (France) attended the congress as keynotes speakers. After each session, we could enjoy a warming evening in which a total of 17 posters were shown, with interesting data. I had the chance of having a poster in which I presented my first results about mitophagy modulators, which is the main objective of my PhD project. People showed interest in my project and I could have nice discussions with them related to my data and future perspectives, which I really appreciate. This meeting has been my first congress as a PhD student and I really believe in their utility to meet new people in the area and know what they are focused on, in order to create more networks and collaborations which will help us to increase our autophagy knowledge.